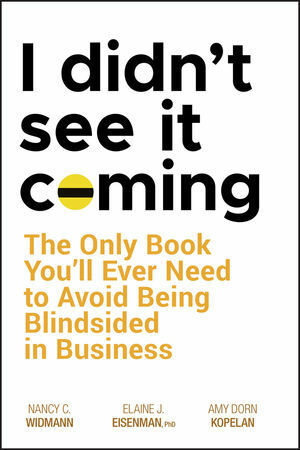 "Hands down, this book is the bible on branding for your career!" "As a professional resume writer and career coach, I have extolled the concept of personal branding for my clients for years. 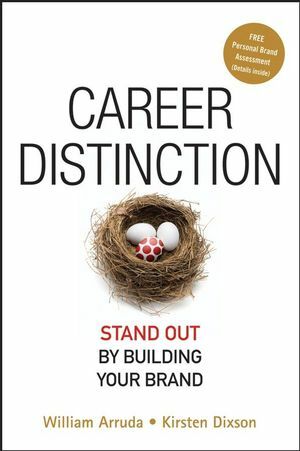 Now, for the first time ever, I have an outstanding resource to recommend--Career Distinction by William Arruda and Kirsten Dixson. This book details the concept of personal branding in a magnificent and easy-to-digest presentation that is a must-buy for every serious job seeker." "Arruda and Dixson are widely respected in the global career coaching community as gurus who not only teach but live the personal branding model, and their expertise and passion show through on every page of this practical, indispensable book. I highly recommend it to all who want to distinguish themselves from the competition." William Arruda—dubbed the "Personal Branding Guru" by media and clients alike—combined his international branding expertise with his passion for people to found Reach, the world's first human branding consultancy. A sought-after global spokesperson on personal branding, he counts many of the Fortune 100 companies as clients. He has appeared on the BBC, Discovery Channel, Fox News Live, and in Time magazine. Kirsten Dixson is a career management consultant who is an authority on building credible online identities for career success. She founded Brandego® and is a partner in Reach, where she established an online identity training program for personal brand strategists. She delivers keynote speeches and serves as a media resource on career technology topics. 1. Understand the Future of Work. 2. Adopt the Career Distinction Mindset. 3. Brand Yourself for Career Success. STEP 1. EXTRACT – UNEARTH YOUR UNIQUE PROMISE OF VALUE. 4. Know Yourself to Grow Yourself. 5. Remember, It’s What They Think That Counts. 6. Define Your Brand Community. 7. Tell Your Brand Story. STEP 2. EXPRESS – COMMUNICATE YOUR BRAND TO YOUR TARGET AUDIENCE. 8. Create Your Career-Marketing Tools. 10. Assess Your Online Identity. 11. Build Your Brand in Bits and Bytes. STEP 3. EXUDE – MANAGE YOUR BRAND ENVIRONMENT. 12. Be On-Brand in All That You Do. 13. Get a Visual Identity. 14. Increase Your Career Karma.